The Bure Valley Railway is a 15 in (381 mm) minimum gauge heritage railway in Norfolk, within The Broads National Park. 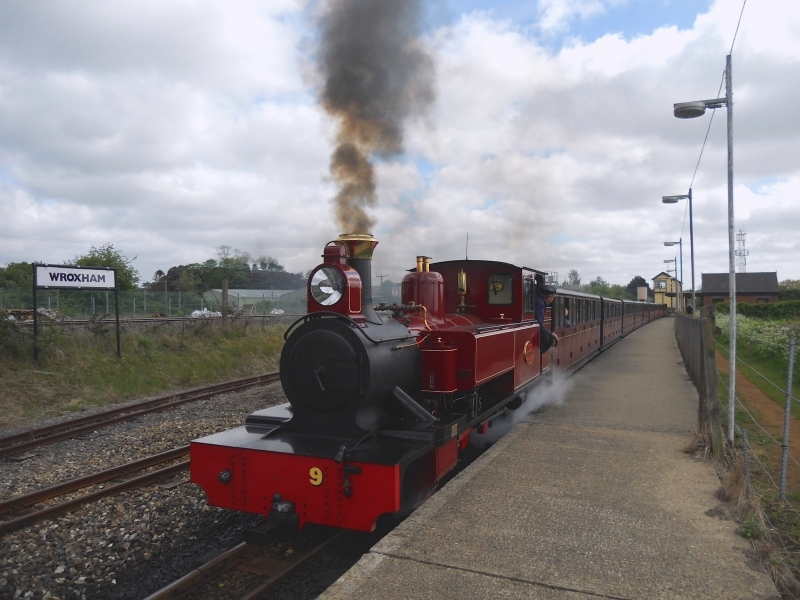 The railway runs from Wroxham to Aylsham (9 miles or 14.5 kilometres) and is Norfolk's longest railway of less than standard gauge. It uses both steam and diesel locomotives. There are intermediate halts at Brampton, Buxton and Coltishall. There are 17 bridges, including a 105 ft (32 m) long girder bridge over the River Bure in Buxton with Lammas as well as Aylsham Bypass Tunnel under the A140 at Aylsham. Please give us your overall rating for Bure Valley Railway.